As with all wine regions, there is a list of producers with whom every wine student should be familiar to understand the diversity and complexity of the wines produced. In Alsace the list is long: some names are familiar, like Zind-Humbrecht, Weinbach, Deiss, Léon Beyer, Hugel, Trimbach, Klipfel, Gustave Lorentz , JB Adam, Kuentz-Bas, Arthur Metz, and Schlumberger. Others are known in only small circles, such as Patrick Meyer, Christian Binner, and Jean-Pierre Frick. Find out why these names are among the “who’s who”! Thierry Meyer was born and raised in Alsace, France. He began writing about wine in 1999, using the newly-emerging internet wine forums to share tasting notes and insights into the wines of Alsace. In 2001, Thierry started his signature dinner series, dedicated to pairing Alsace wines with fine food. 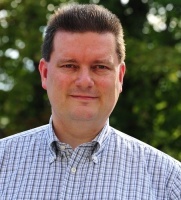 He founded L’Oenothèque Alsace in 2006 and launched the website oenoalsace.com, one of the most comprehensive website dedicated to Alsace wines. At the same time he started to promote a program of structured Alsace wine masterclasses and dinners. From 2007 to 2011, Thierry was contributing editor of Le Guide Bettane & Desseauve des Vins de France, the influential French wine guide. In 2014, Thierry started to lead the new Alsace Master-level education program for the French Wine Society, the leading provider of French wine study and certification programs internationally. Delve into Alsace with the insight of Alsace wine experts and masterful instructors... sign up for the Alsace Master-Level program and Alsace Study Trips. Learn more about French wines with the French Wine Scholar study & certification program.